Google Tag Manager drastically reduces the difficulty of adding tags to websites with its straightforward interface and built-in debug mode. The ability to test out tags on a live site before publishing is a priceless tool for streamlined deployment of advertising pixels, analytics tracking code and more. 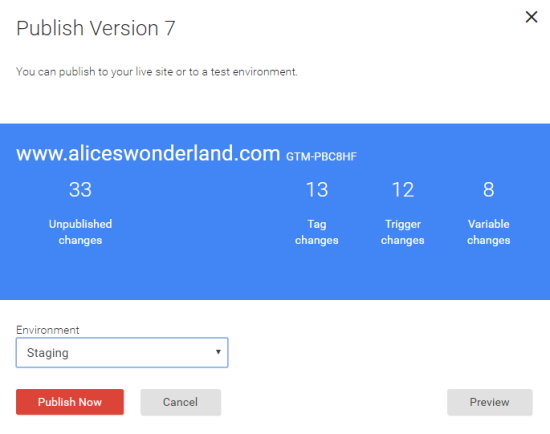 With the latest release of the Environments feature in GTM, we now also have the ability to publish versions of our GTM containers only to specific environments – giving us even greater control over how tags are deployed and allowing additional opportunity to test for quality control prior to publishing updates to live websites. Many of these methods can be used together or independently for optimal tag deployment. In this post, we’ll review each of these methods and provide some basic examples on how to take advantage of them. Skip ahead to the Environments section by clicking the link above. Blocking triggers can be used as exceptions in GTM to prevent tags from firing if they meet a certain set of criteria. Where triggers tell tags when to fire, blocking triggers tell tags when not to fire – and they overrule any existing triggers applied to tags. 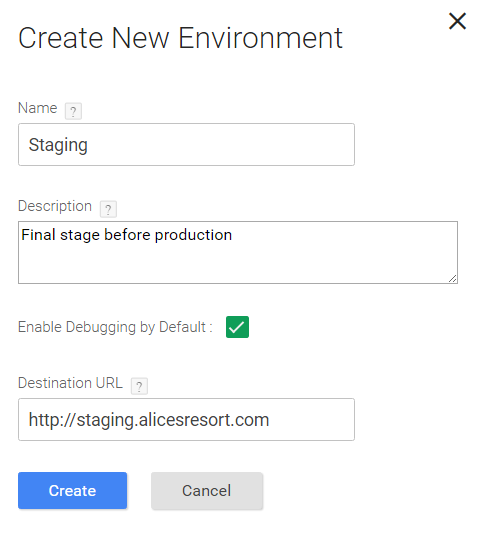 We use blocking triggers to separate the functionality of the tag and trigger from the environment; so the tag and trigger remain exactly the same for our staging site and our production site, for example, and blocking triggers are added and removed as needed to control tag deployment. This means you do not need to create a separate set of tags and triggers per environment. For example, if you have GTM on your staging environment but do not want your advertising tags firing there, you can set up blocking triggers that will prevent your ad tags from firing based on the URL being that of your staging site. I won’t go into detail about this example because my colleague Jon Meck wrote a great article about this topic already – take a look at his blog post for more information on how you can use blocking triggers in GTM. Another way to use blocking triggers is to base them on a version number that you assign to your website when you publish updates. 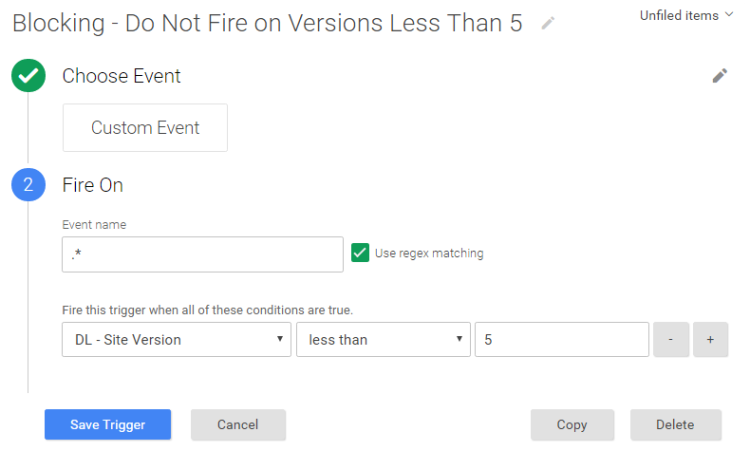 If you set a data layer variable across the website and increment the value each time you start editing and testing new changes, you can set up GTM to look for that version number in order to determine whether or not certain tags should fire. For example, if the live site is set to version 4, and you know your version 5 changes are only being tested on the dev environment, you can create a blocking trigger to use as an exception for all new tags that you want to test that says ‘do not fire this tag on any version less than 5’ which essentially means they will not fire unless you’re on the dev environment (for testing purposes) or if version 5 is published to the live site. They will not fire on the live site until the production ‘version’ variable has been updated to ‘5’. 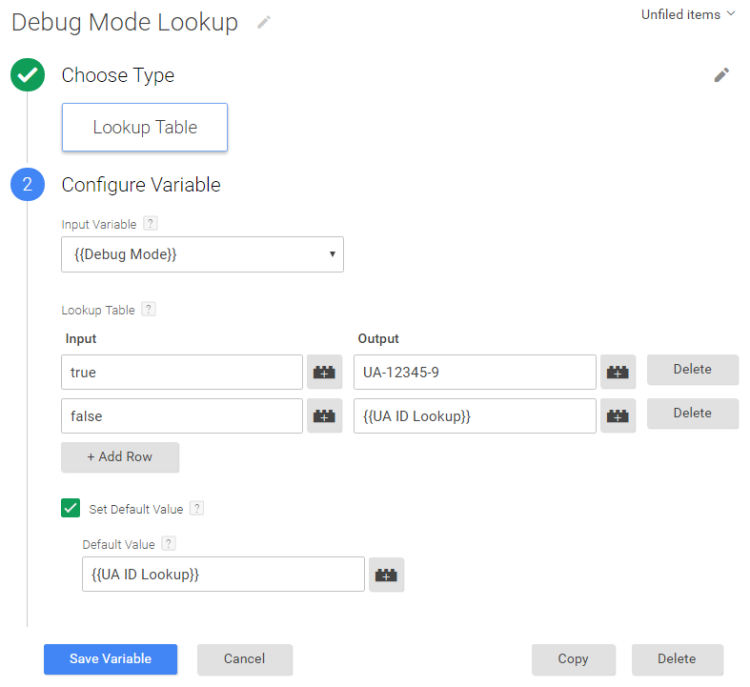 While blocking rules help us determine what environment we’re in, lookup tables in GTM are particularly useful for helping us direct data to the right place based on the environment. We typically use these for directing Google Analytics data to the appropriate Google Analytics property based on certain criteria. There are a variety of ways we could do this – a couple examples are below. With this variable as your Google Analytics tags’ Tracking ID field, GTM will first check if you are in debug mode – if so, the data will be sent to your test property in Google Analytics. 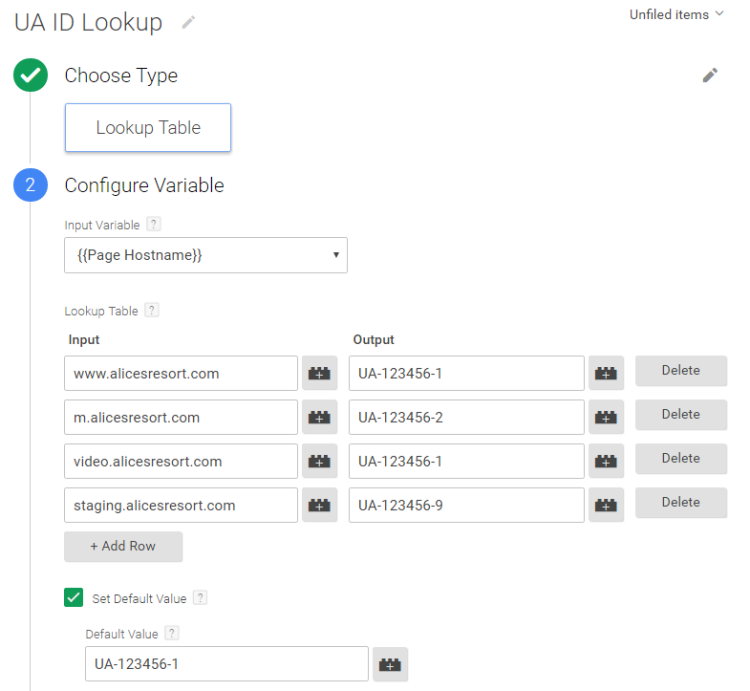 If you are not in debug mode, GTM will then go to the UA ID Lookup table to determine what property to send the data based on the hostname. You could also create a lookup table based on a data layer variable. This is especially helpful when attempting to safely transition from hard-coded analytics tracking to implementation in GTM. 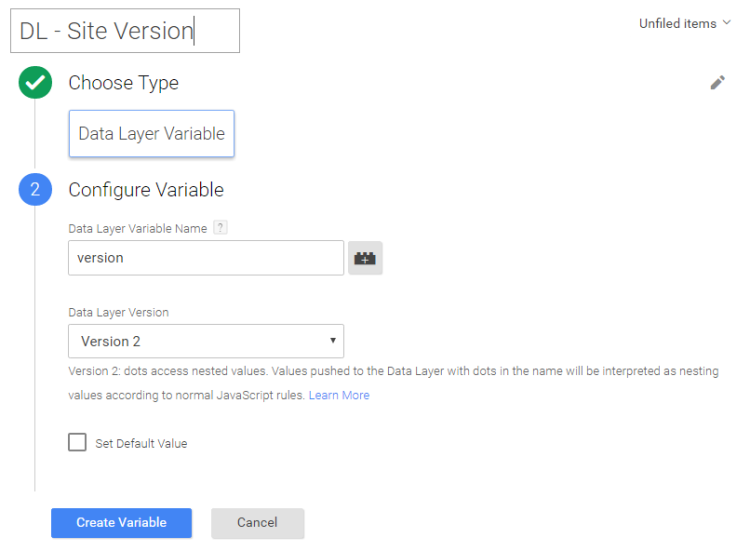 In a manner similar to that of the version number recommendation for the blocking trigger above, you would basically determine where to send the Google Analytics data based on the data layer variable status. Take a look at Dan’s post to learn more. Having a separate container for a dev or staging environment used to be fairly common practice (until Environments were announced anyway – more on that below!). As long as you work hard to manage the separate containers and make sure the configurations are mirrored as closely as possible, this can be a helpful solution to deploying certain tags on certain environments. The challenge with this method is that you need to make sure the configuration in the test container is exactly mirrored by the live container. You can export and import container configurations in order to ensure everything stays exactly the same, rather than manually making the same updates in the live container as in the staging container, for example. And for the bold, the GTM API can help with this as well. Environments in GTM have been a long-awaited feature and we’re excited to put them to use! 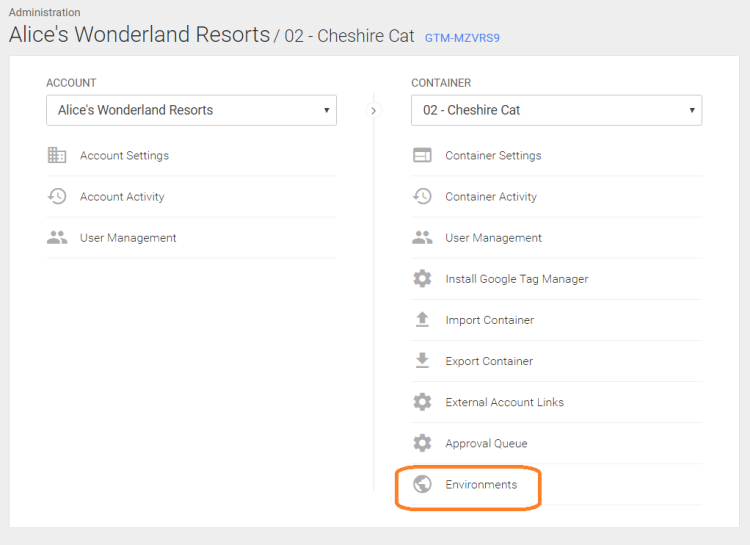 With environments, we can now tell GTM that we are working with additional environments other than just a live website(s), and we can deploy container versions to specific environments. This makes testing much more manageable than working with multiple containers because it ensures that the tags, triggers and variables that you’re testing are exactly the same on each environment you’re testing on. Most companies utilize separate environments throughout the process of building and updating their websites, such as with staging or pre-production environments, QA and even dev environments, in order to test changes before publishing them to their production site. You can imagine the benefits to testing robust tracking solutions and custom code implemented within GTM in pre-production environments just as you already do with your usual website updates. Before we jump into creating environments though, it is important to recognize that we likely do not need to test all of our tags in GTM for compatibility with each and every environment we may have. 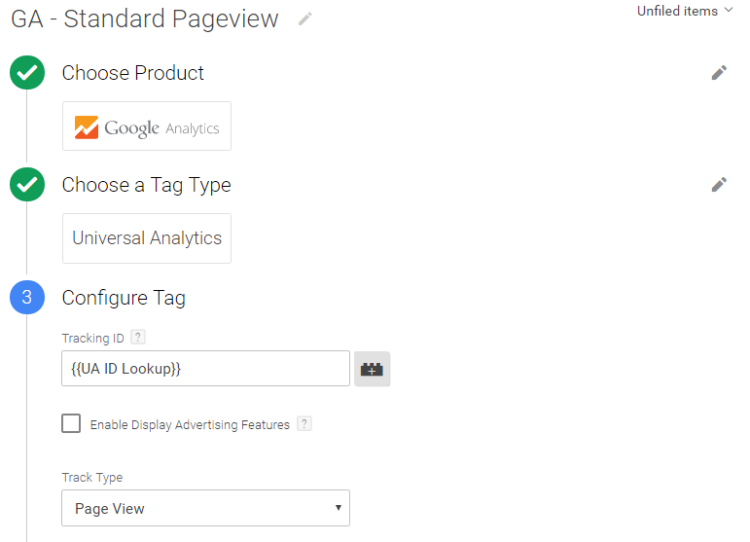 For advertiser tags, for example, the standard preview and debug mode available in GTM will likely suffice. For more complex tags, however, there are many reasons why we may want to more thoroughly test in a staging environment. For these, we would likely want to test in an environment that closely mirrors the production site in order to keep the GTM container manageable (dev environments change frequently and would be very hard to keep up with). I’ll provide a basic rundown to setting this up, but Simo Ahava already provided a very in-depth look at how this feature works so I encourage you to go check out his article. This message explains the two primary means of testing tags in your environment: by either sharing a preview link or updating your GTM container script for that environment. I’ll walk through these in a minute. First, we have to decide which container version should be initially published to this environment so we can have something to work with. Click the Publish To Staging button from this popup window to select a container version. You will probably select the latest version you have available so that your new environment mirrors your live environment to get started. They can click the link in the message to check out your website in preview and debug mode to review your changes. You may notice that this is the exact same container ID that you’re using on your live site – but this script has been modified to include an authentication token (check out Simo’s post linked to earlier if you want to learn how that works). 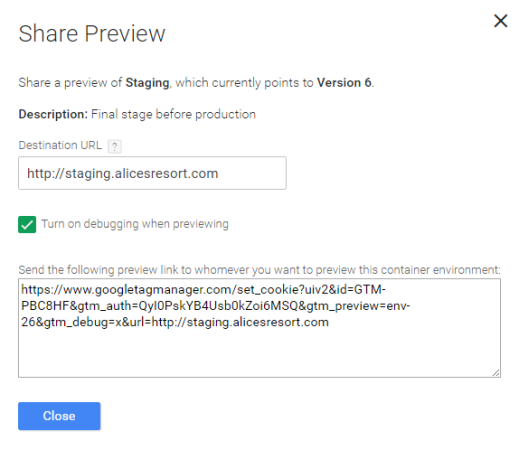 You will want to replace the GTM container on your selected environment (probably your staging site) with this new code. 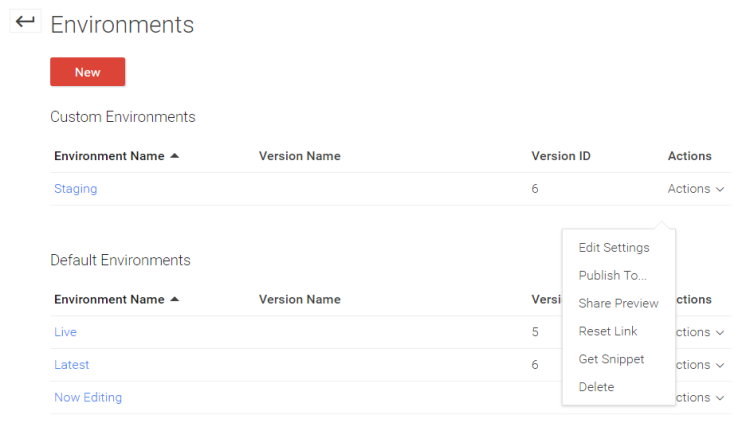 Once you’ve made this update to your selected environment, you will be able to publish updates in GTM directly to that environment. Creating new environments also provides you with the opportunity to enable the Environment Name variable, which you can use to set up a blocking trigger as shown above to prevent tags from firing on the wrong environments in a manner similar to the examples we talked about earlier. 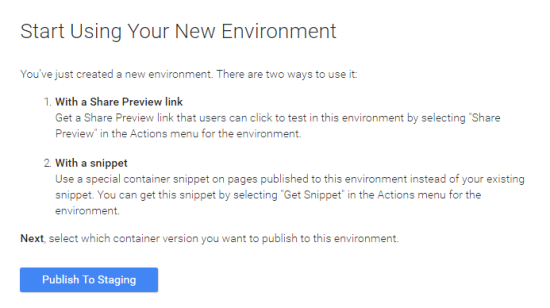 Side note – If you have shared preview links with your colleagues and you would like to reset that link, you can do so from the environment’s Actions drop down – but note that if you do this you will also invalidate the corresponding container snippet (if you have one installed) and you will need to re-install a new one on that environment if you want to continue to use the publish to functionality (because it will have a new authentication token associated with it). These are some basic ways to manage GTM tags across different environments – you might customize one or more of these methods to best suit your needs. We generally prefer to use blocking triggers and environments over separate containers for deploying tags across different environments because they eliminate the need to create separate tags and triggers per environment, which could be challenging to maintain and present the opportunity to configure them differently on accident. Using separate containers also presents the opportunity for the dev or staging container to be published to the live site on accident, which can cause serious problems. If separate containers are your preferred option, however, you can import and export container configurations to help make them easier to replicate.